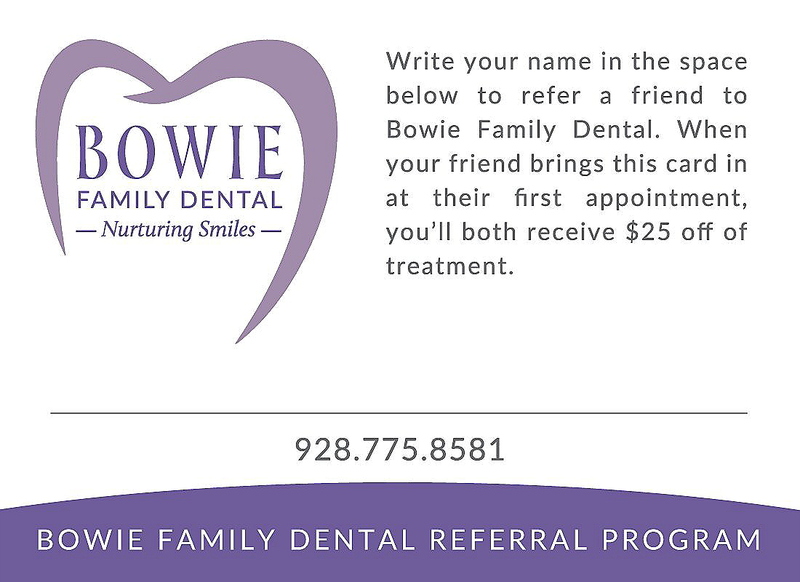 Click on the image at the right to open a larger preview, print out the image, then write your name in the space provided and give it to a friend or family member to refer them to Bowie Family Dental. When they bring in the card at their first appointment, you’ll both receive $25 off of treatment. It’s that easy!